I knew it was her from the staccato rhythm of her steps, short and sharp. The room was dark and the house was still and I knew before she made it to my side of the bed that, while not always the case, she more than likely had a bad dream. I lifted the covers and let her crawl between her mother and me and I kissed her on her forehead before the three of us fell back asleep. An elbow pokes into my side and a knee rests against my shoulder, a stuffed animal wedges itself under my back, she stirs and positions herself perpendicular to her mother and me. The three of our bodies form an H and I realize these moments are numbered. These are some of the moments from her childhood I want carved into my memory, the three of us, our bodies forming an H within our walls. Home. There was a time when we would put her back in her bed on nights like these. Once we felt her let go and give in to sleep, one of us would slowly lift her from our sheets and place her back in her own across the hall. We would tuck her in and tiptoe out. We would take turns, we would silently agree, we never mentioned it in the morning unless she brought it up first. Now, though, I let her stay. I let her sleep in our bed on the off chance she climbs up in the middle of the night. I let her stay in the middle of us in the middle of the night because the day will come, far sooner than we realize, where she won’t find solace in the comfort of our sleepy, speechless conversations. She won’t find the peace in squeezing herself between us during the hours when the moon peaks through our blinds. So I let her stay and in the morning she may or may not discuss the dream that brought her to our room. She may bring it up days later. She may keep it to herself. Regardless, I want her to know whatever decision she makes that I’m here for her. I want to hear all the dreams, good and/or bad, because I want to help her chase them. I want to help her catch them. 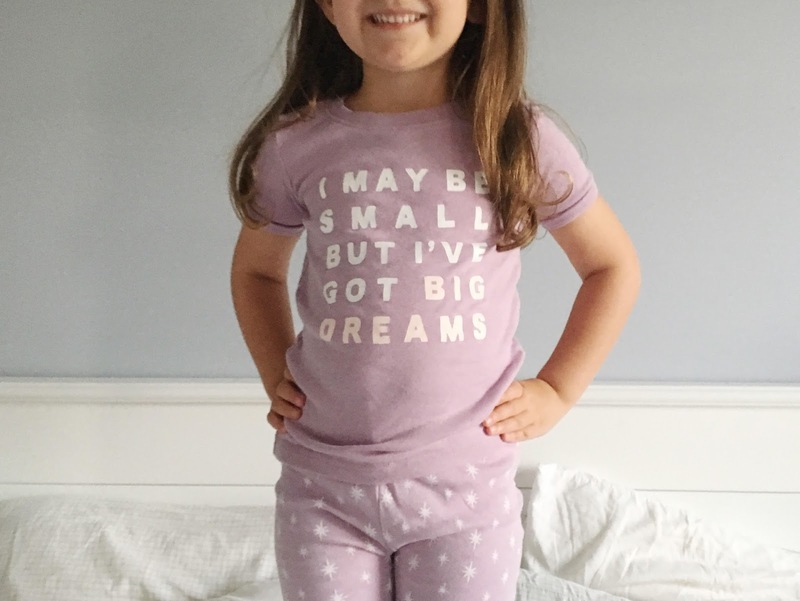 Then I want her to dream even bigger.